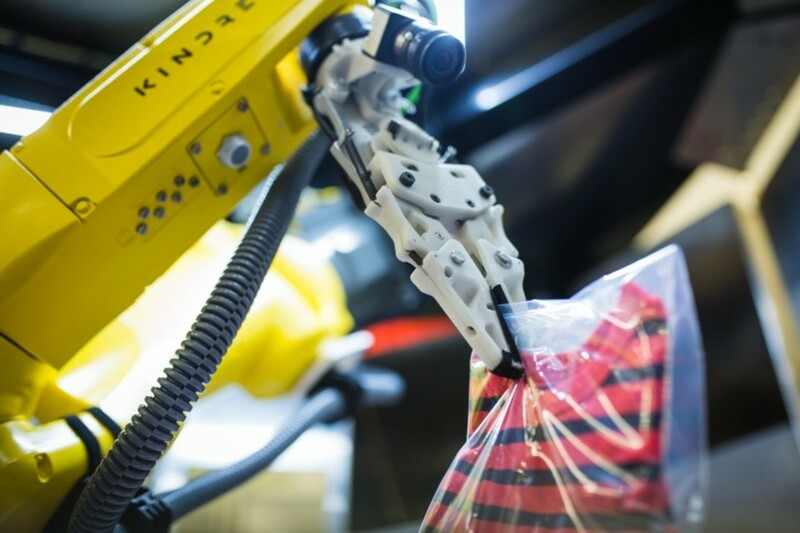 The clothing giant is testing robots from start-up Kindred AI in the USA. The idea is that remote human operators train the AI to fine tune their sorting ability. For the Gap partnership, six human pilots located in Toronto are assisting robots based in Tennessee. Pilots use a 3D mouse and keyboard to perform tasks the robot cannot perform alone. The robots use deep learning and reinforcement learning to improve performance when grasping items. The trial works on a pay per intelligent action model, whereby Gap is essentially paying for the time the robots are in use, as opposed to buying them outright. Kindred says: “Our focus is to uncover how the human brain learns through interactions with the physical world and apply those learnings to create and teach a new intelligent class of robots. One that will enhance the quality of our day-to-day lives, and in particular, the way in which we work. Kindred’s objective is to build the foundation to support this future - to create systems that allow machines to gain access to abilities and behaviour human minds currently possess. “The first step we’re taking is to deploy intelligence in a robot that is doing complex work that is difficult for todays robots to do. Many tasks in e-commerce distribution centres are of this nature - a nearly endless number of goods that need to be moved efficiently and quickly to fulfill an ever-increasing number of orders. Kindred has raised $28 million in Series B funding bringing its total amount to $44 million. The additional capital will go towards the continued research, development and deployment of Kindred’s robots, as well as to advance the company’s broader mission to build human-like intelligence in machines. THE FUTURE - Did you anticipate robots or drones?